MIT School of Distance Education, MITSDE, Pune is a part of Maharashtra Institute of Technology (MIT). Maharashtra Institute of Technology is an engineering college affiliated to the University of Pune and was established in 1983 by Dr. Vishwanath D. Karad. Currently MIT is offering a wide range of programmes in the field of Engineering, Medicine, Pharmacy, Management and Insurance in the classroom as well as distance learning mode. In our today's post we'll talk about MIT School of Distance Education courses, admission procedure, fee structure and MITSDE recognition. 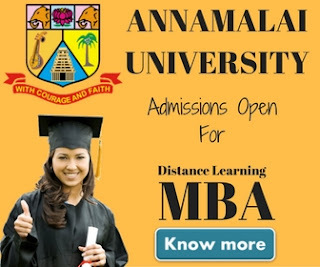 Also Read: AIMA Distance Education and Symbiosis Distance Education MBA Courses. All the courses offered by MIT distance education are very much flexible. Students can learn the things at the time they find comfortable. The courses are open learning rather than distance learning and students are not left studying at home in isolation, but automatically made a part of the MIT association. In each course, students get the teaching material with assignments which helps them assessing their learning. MIT let students know about the same over the phone and through email. To meet the demand and trend in distance education, MITSDE are backed up a e-learning system known as Learning Management Software (LMS). Using LMS, students can get a 24*7 access to distance education, knowledge assessment, instructor guidance and certification. Top Articles: How to take admission in Distance Learning at IIM courses. MIT School of Distance Education (MITSDE) is Recognized by Distance Education Bureau (DEB), Govt. of India. DEB is a new regulatory of distance education courses formed by UGC. The Distance Education Council which was the erstwhile regulator of Distance Education programmes, has been dissolved and all regulatory functions are being undertaken by the UGC. Now lets talk about distance education courses at MITSDE and their admission procedure. MITSDE offer 35+ postgraduate & graduate level diploma courses under distance education system. The courses offered by MIT School of Distance Education are as follows. 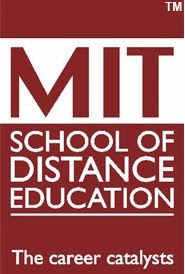 Admissions are open through out the year at MIT School of Distance Education. There is no written test or any other entrance test to take admission. Students with any percentage in qualified exam can take admission in MITSDE. If you're from Pune, you can walk into MITSDE, Pune campus at Paud Road, Kothrud between 9.00 AM – 5.30 PM; Monday to Friday for the admission. You're required to submit the application form, fee and required documents for admission. If you want to apply online, you can take advantage of MITSDE online admission facility. All you need to do is to visit MITSDE official website and fill out the online form. Later you can send all documents required for admission purpose to admissions@mitsde.com . Students can also make the payment of course fee using the payment gateway system available on MITSDE website. Students can also send the application form with required documents through post with demand draft. Students appearing for their final year may also apply for the courses available at MITSDE. 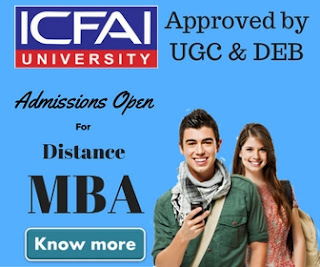 Must Read: Vidyasagar University Distance Education Courses and Admission procedure. For more information about MIT School of Distance Education fee structure, eligibility criteria , courses and admission, you can anytime visit MITSDE official website or can contact at below mentioned details.